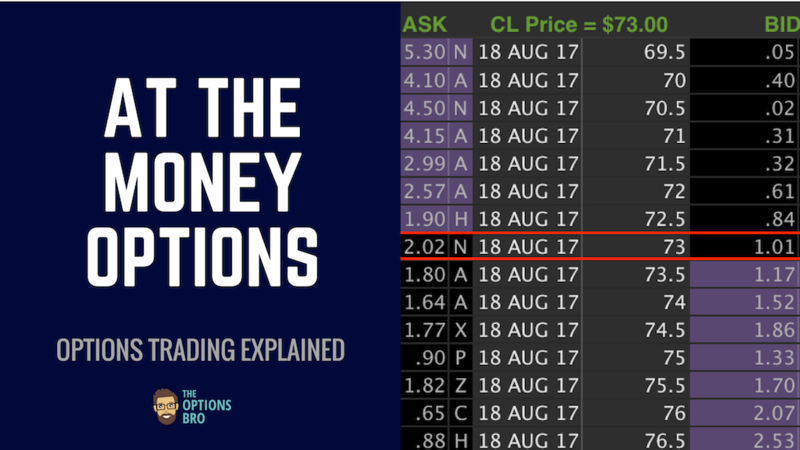 The strike price of a call or put option refers to the specific price that the option contract is eligible to be exercised. The strike price of an option is not to be confused with the price of the option itself. In the example below, the $245 strike price put is currently worth between $103.50 (mid-price between the bid and the ask). It is NOT worth $245. 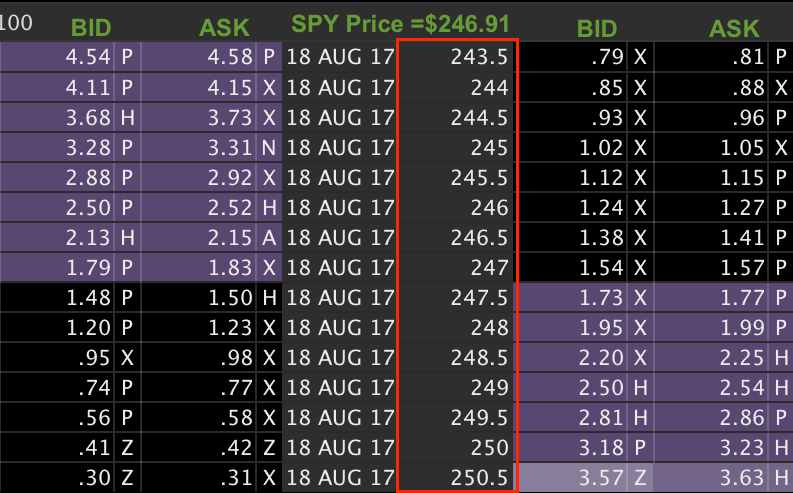 $245 is the level at which SPY must be trading below for the put to be eligible for exercise. 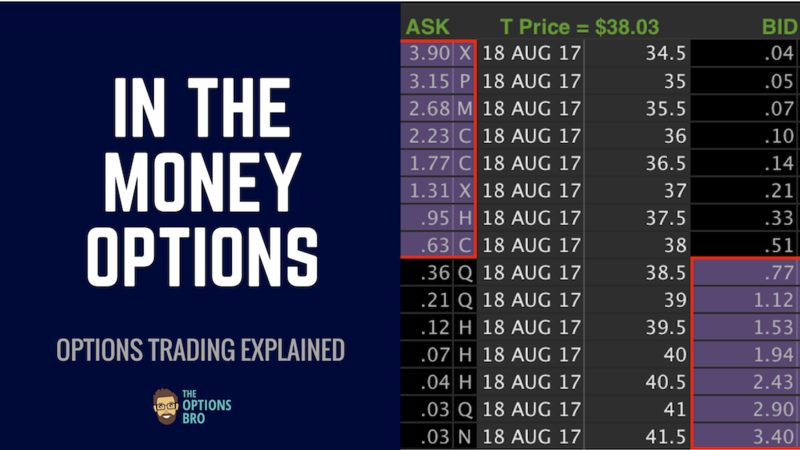 Mistaking the strike price of an options for the option’s actual value is a common error among new options traders. The prices outlined in red are the strike prices. Calls are on the left and puts are on the right, but the strike prices are the same for both calls and puts. Hence, strike prices are always in the center of an option chain by default. On any given stock, index, or future, there are a limited number of strike prices for puts and a theoretically unlimited number of strike prices for calls. Because stocks, indices, and futures can’t trade below zero, there are no negative strike prices. However, since stocks, indices, and futures can theoretically trade to infinity, as the assets move up, more strike prices will be created with longer expiration dates by options market makers. Some stocks (mostly low-volume illiquid ones) have options with strike prices in increments of $5.00. Most stock options have strike prices in increments of $1.00. In the case of SPY, which is the main S&P 500 ETF, the strike price increments are $0.50 because it is heavily traded and highly liquid. On most option data platforms from Google Finance to Trade Station, you can select the number of strike prices you want to be displayed, ranging from as few as 1 to every tradeable strike price. Strike prices of options are important because they determine if an option is in the money, at the money, or out of the money. The strike price of an option contract is the most basic component of an option contract, yet it is also the most important. At expiration, the difference between the market price of the underlying asset and the option strike price is the value of the option. Essentially, the amount that the option contract is in the money determines the price at expiration. And the amount that an option is in the money is determined by the option’s strike price. 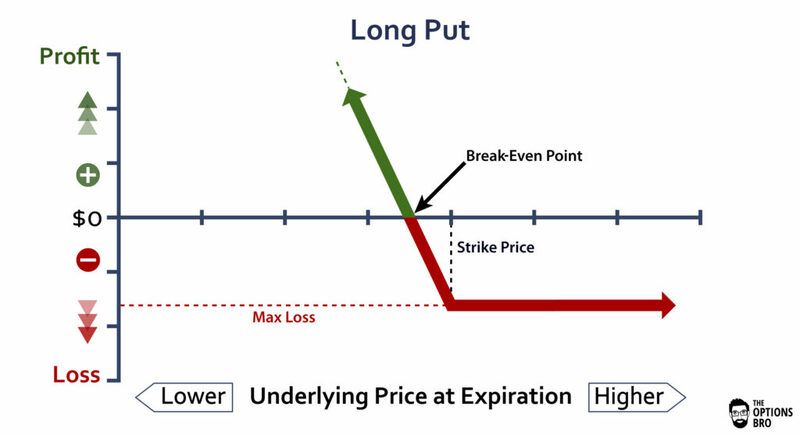 Strike prices provide both the buyer and the seller of option contracts with a specific price that the option contract will be worth something at expiration, that’s why they’re so important. Start investing at Ally Invest and get a $200 cash bonus or $500 in commission-free trades!